Life with Diabetes Can't Be Perfect. Make It Better. Throughout my extended career as a person with diabetes, the most important fact I have learned is that ANY BIT BETTER (…3%...5%...28%...91%...) IS STILL BETTER. It might be the most important thing you can know about your diabetes. Maybe we can’t make it go away. Maybe we can’t make it perfect. Maybe we’re still mad that we got stuck with it. But we absolutely CAN make it BETTER. It’s not always easy, but it’s not complicated either. 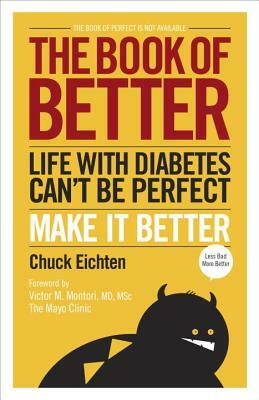 Diabetes gets Better if you make it Better. CHUCK EICHTEN is a design director at Nike Inc. He has spoken to a range of audiences about diabetes, including at the Diabetes Association national conferences in the U.S. and Canada.